Durable lenses have a longer-wear duration meaning the lens will feel slightly thicker when worn. Additional thickness maintains the lens structure throughout continual removal and insertion. Blast off your new contact lens style with a pair of Galaxy Contact Lenses! The sky's the limit when you choose these stand out contacts, indulge in a pair today. Get all starry-eyed and lost in an awesome pair of these space-inspired lenses. Featuring a bold blue and purple print, these lenses are sure to stand out in any Cosplay outfit, or complete any fancy dress style. Go full sci-fi with a pair of these beauties, designed for style and for comfort, these lenses will last you a cool 90 days. The material used in our contact lens creation is sure to make wear easy and keeps eyes feeling hydrated. 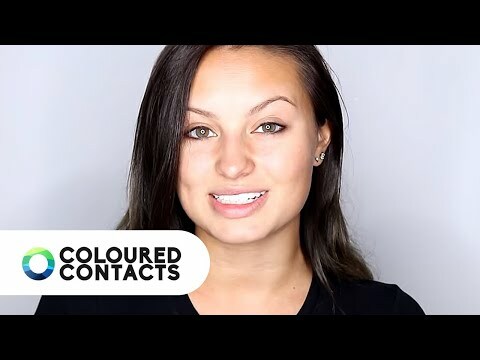 Don't forget a pair of these awesome Galaxy Coloured Contacts when you head to the checkout! Unlock a whole new alternative eye style. Ensuring quality, innovation and design.